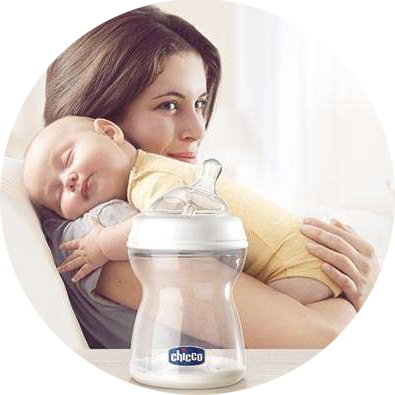 The 2m + Baby Bottle comes from the experience of Chicco to meet the needs of mothers and newborns during breastfeeding. 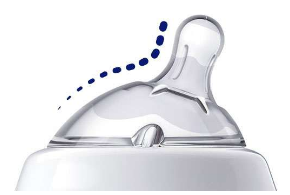 Thanks to the teat with the particular inclined shape and the special anti-colonic valve, the Step Up New Chicco 2m + bottle ensures a peaceful breastfeeding in all tranquility, without straining the baby who maintains the correct posture of the head during the feeding. The 2m + bottle of Chicco facilitates the alternation between breast and bottle, thanks to the particular rounded soft silicone teat that reminds the mother's breast. The full range of NaturalFeeling will help to make the transition to bottle feeding easier!